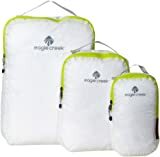 Are you looking for the best compression packing cubes on the market today, then Eagle Creek packing cubes got you covered! 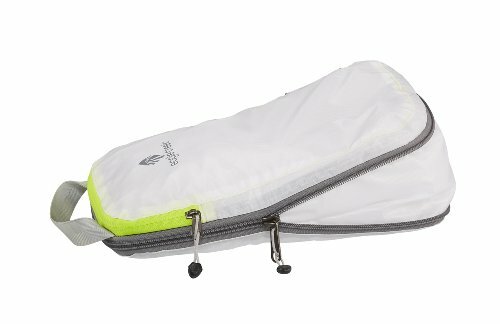 Eagle Creek cubes have no competition when it comes to durability and compression and that is why this is my No.1 pick on my list of Top 10 Best Packing Cubes! Bestselling packing cubes and the best compression packing cubes on the market today! 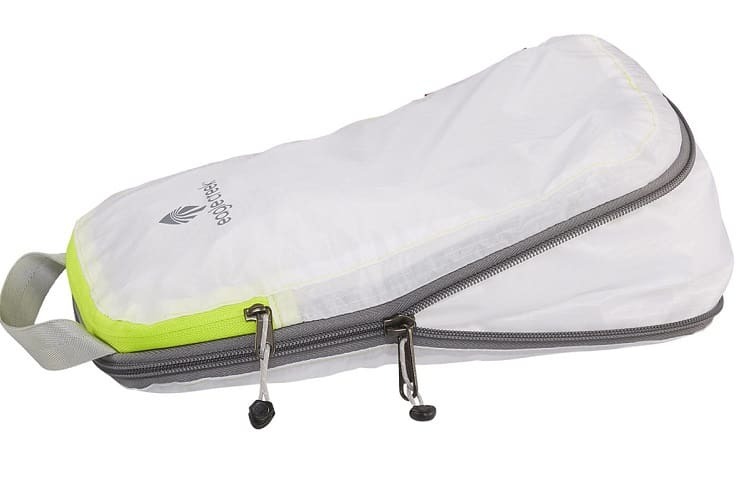 When it comes to compression, Eagle Creek Packing Cubes have no better! This is the most popular brand of packing cubes within the travel community and the best selling brand on Amazon. The No.1 bestseller and my absolute favourite of Eagle Creek cube styles is the Scepter range. There is another popular range though called the Eagle Creek Pack it Cubes. Check it out for yourself though. 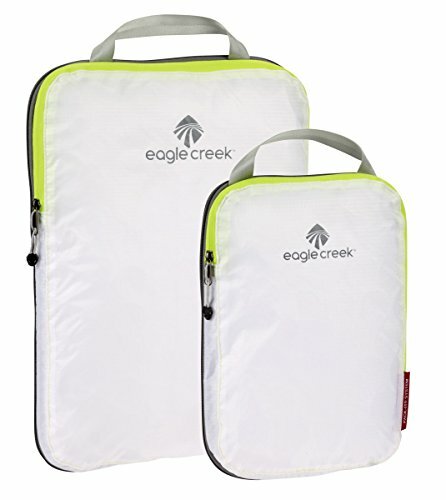 Tip: Check out the prices for an Eagle Creek Packing Cubes 3 Pack. 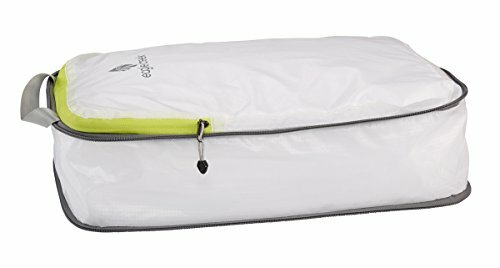 Amazon Best Selling Eagle Creek Packing Cubes. 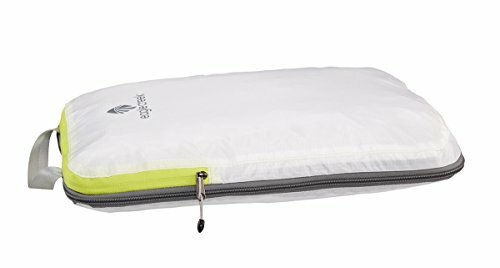 This Eagle Creek Packing Cubes set is a set of 2 very practical size cubes in a white/strobe colour. The cubes are made from a super lightweight, water resistant and extremely durable ripstop design fabric, making this packing cube the toughest there is! The biggest positive about the Eagle Creek Packing Cubes is that they are designed for extra compression. The cube's unique zipper allows you to pack even more in the cube with ease. This cube can expand to more than a triple the size, so you can easily pack, and then simply close the zipper to compact your cubes for packing. Yup! Awesome! Ultra-Lightweight and Durable: These cubes are pretty much weightless and are designed with a ripstop silnylon fabric! Affordable Price: Eagle Creek Packing Cubes are in a mid-range price bracket, but still very much affordable. You get quality here! 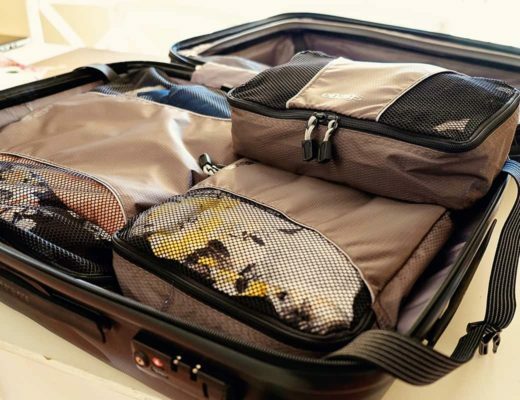 Plenty of options: There packing cubes come in a variety of colours, so you can colour code your family! Easy to use: Super easy to use and pack. The unique compression zipper allows for easy packing even for the youngest in the family. Zipper position: Zipper is positioned along the top of the cube, which means, that you might be tricky to insert bulkier items neatly. The best thing about these cubes for me is the compression. Eagle Creek Packing Cubes can fit a tonne more of clothes than any other cube that we have, and do it not increase the size of the actual cube. When we travel a lot, luggage weight is always an issue. Thanks to these cubes, we can take more pack more things in fewer suitcases. No brainer here! These packing cubes are awesome!